LiveRoof was developed to combine or “hybridize” the best aspects of all types of green roof systems for the best function and best appearance, as well as the most efficient method of installation. Throughout our experience of greening thousands of roofs totaling millions of square feet, we have continuously improved our shipping methods, installation procedures and maintenance recommendations. Below are links to view videos and print illustrated guides on installing or maintaining your green roof systems. Bidding or installing your first green roof project? Need maintenance training for your new green roof system? Please contact us for support. The following animation focuses on “lean” or “continual flow” of materials to help improve installer profitability by emphasizing the importance of avoiding time-stealing processes. LiveRoof projects are installed only by LiveRoof Certified Installers, who are typically professional roofing contractors or landscape contractors that have been trained by LiveRoof representatives in the proper method of LiveRoof systems installation. Please contact us for recommendations for a LiveRoof Certified Installer in your area. Mira este video en español. Download a PDF of the LiveRoof Installation Guide. Download a PDF of the RoofEdge Installation Instructions. RoofEdge is used in perimeter areas of the LiveRoof system to protect the modules from UV degradation and to contain soil. When stone ballast or traditional paver/pedestals are used, edging must be used. When LiveRoof modules abut a parapet or RoofStone pavers, no edging is needed. Installation guide for the RoofStone paver system, developed by LiveRoof Global, LLC to integrate seamlessly with the LiveRoof green roof system. RoofStone installs 10x as fast a traditional paver/pedestal rooftop pavers and is ideal for fast, efficient installation of maintenance pathways, vegetation-free zones, and small patios. Download a PDF of the RoofStone Installation Guide. WindDisc is used to connect the LiveRoof system in wind-challenged applications, such as in coastal areas or atop tall buildings. WindDisc installation is exceptionally simple, and the system has been tested and is proven to perform. LiveRoof recommends a lean, preventative approach to systems maintenance. With regular care (twice monthly visits), maintenance is simple and very affordable. By developing a routine for brief, frequent visits, caretakers are able to pull a small number of weeds while they are very small and easy to pull. By waiting longer than a two week interval, some opportunistic weeds may flower and spread seed. Through understanding and interrupting the life-cycle of weeds, we can ensure affordable, simple and enjoyable green roof maintenance. LiveRoof provides free maintenance training to all owners of LiveRoof systems at the time of installation. Contact your local representative for additional maintenance support. Download a PDF of the LiveRoof Maintenance Guide. 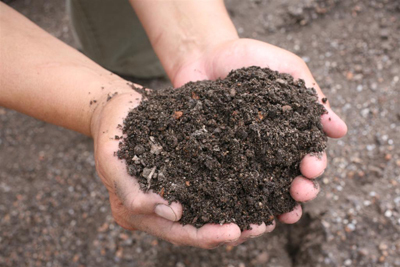 We recommend that you have your soil tested each spring to determine whether a controlled-release fertilizer needs to be applied before the spring growth flush. We recommend the soil testing labs at Pennsylvania State University, as they have experience testing and interpreting results for green roof growing medium. If desired, green roof owners may enhance their early spring green roof aesthetic by planting spring-flowering bulbs in the fall. This process is simple and can provide a beautiful pop of color before many Sedum selections have emerged from winter dormancy.